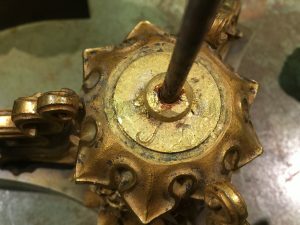 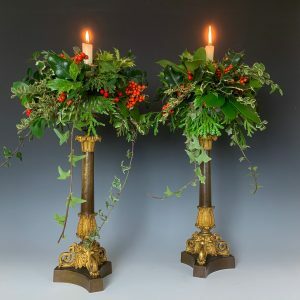 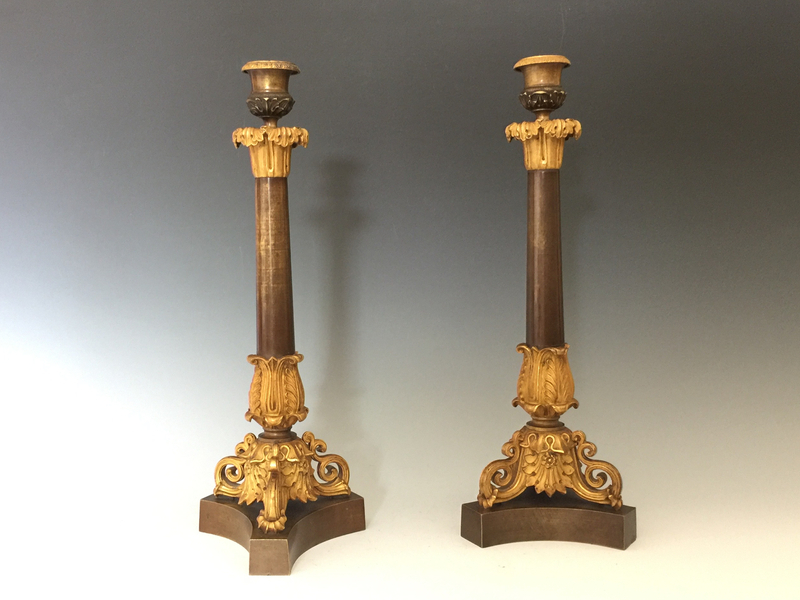 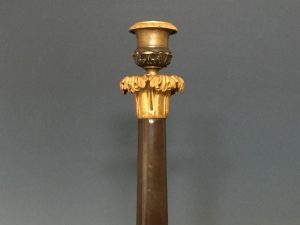 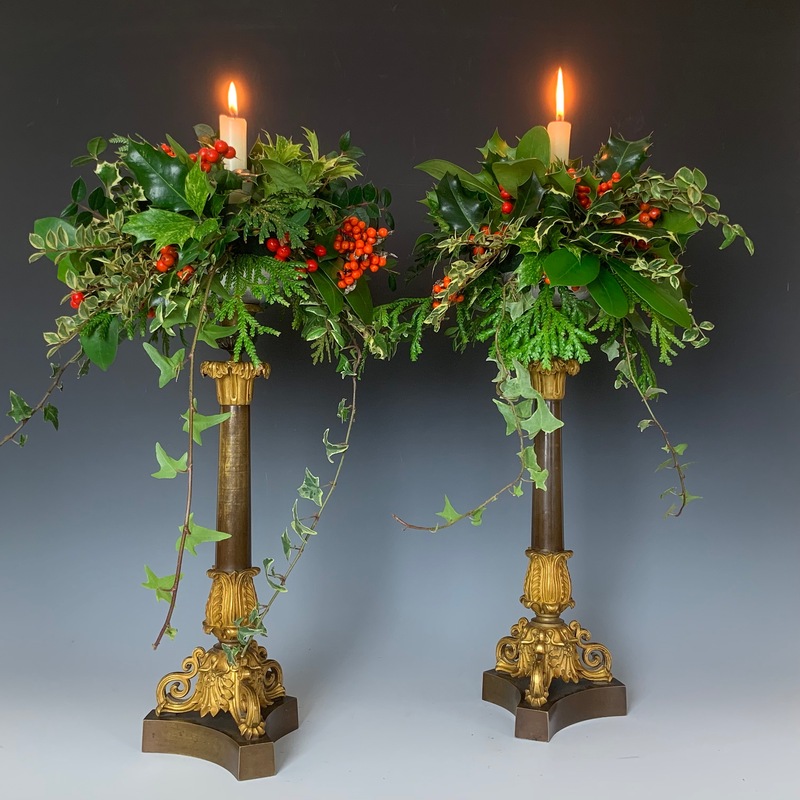 A pair of Charles X 19th century patinated & gilt bronze candlesticks. 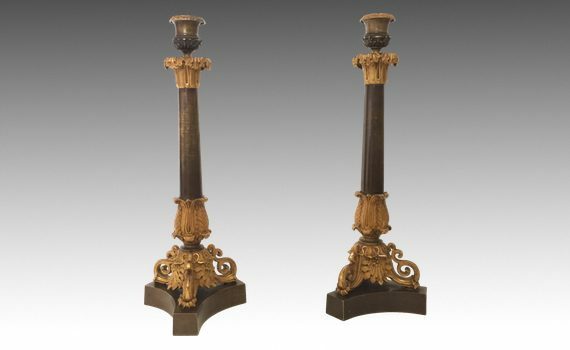 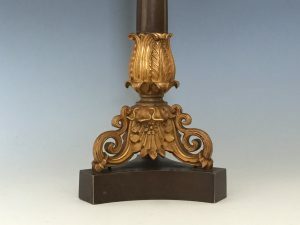 The tapered column supporting a single candle sconce, above a scrolling triform base and plinth support. The inside with initials from sand casting ‘JT’.